No. 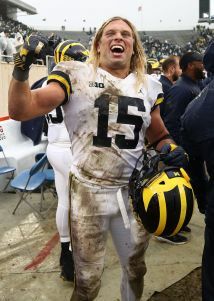 5 Michigan is on a revenge tour, according to defensive end Chase Winovich . The Wolverines have beaten two of the four Big Ten teams they lost to last season, leaving No. 14 Penn State and No. 8 Ohio State on their list. Michigan (7-0, 5-0 Big Ten, No. 5 CFP) gets its shot at the Nittany Lions (6-2, 3-2 Big Ten, No. 14 CFP) on Saturday at home and will have to wait until Nov. 24 for its last tour stop against the Buckeyes. Penn State beat the Wolverines 42-13 last year and tried to score even more points in the final seconds, a fact that has bothered Michigan for more than a year. 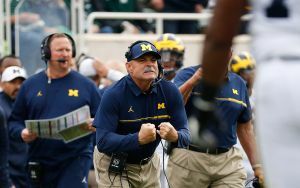 Defensive coordinator Don Brown insisted he has thought about that game every day since the humiliating setback. The points and yards (502) given up in that game were the most allowed in Brown’s two-plus years at Michigan. And just in case Brown’s defensive players were not still stung by the rout, he showed them how the end of the game unfolded, with Miles Sanders taking a handoff from the Wolverines 6 in the closing seconds and getting stopped for a loss. Penn State quarterback Trace McSorley is expected to start after missing part of last week’s 30-24 win over No. 18 Iowa. McSorley has 28 career wins, one short of the school record for a quarterback shared by Todd Blackledge and Tony Sacca. 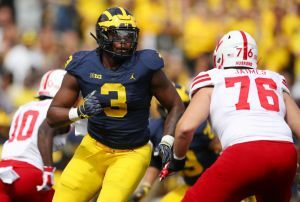 Michigan might get defensive end Rashan Gary back in the lineup. 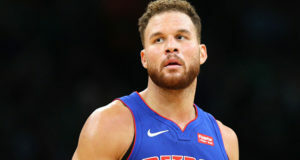 He has missed three games with a shoulder injury. “I think he’s very, very close,” Brown said. Gary’s teammates have bristled at speculation he will not return to play in college and instead choose to focus on getting prepared for the NFL draft as former Ohio State defensive end Nick Bosa decided to do last month. Penn State has made numerous miscues lately on special teams. The Nittany Lions allowed two safeties on punts last week, giving up four points with a blocked kick and a poor snap. They also failed to recover an onside kick against Indiana and gave up a first down on a fake punt against Michigan State. First-year kicker Jake Pinegar has made all five of his field goal attempts over the last two games, but he has missed two of four field goals on the road. Brown raved about Patterson’s competitive spirit, recalling how fired up he was after Michigan lost a fumble at Michigan State. Chris Webber is coming back to Michigan as an honorary captain, accepting an invitation extended by Harbaugh. More than five years ago, the reunion with the Fab Five star would not have been possible. The NCAA forced the university to dissociate itself from Webber from 2003-13 for his role in one of the biggest scandals in NCAA history. 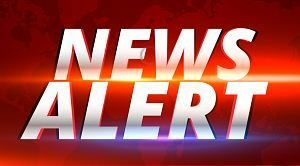 A federal investigation revealed now-deceased booster Ed Martin gave Webber and two other players more than $600,000 when they were student athletes. 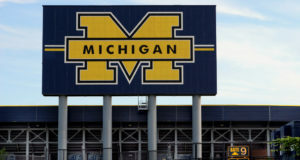 Michigan basketball coach John Beilein said there have been discussions about reuniting Webber with the basketball program while he’s in town. 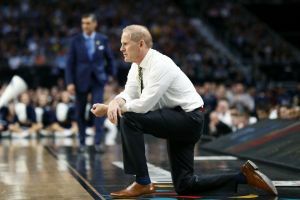 “I don’t know how much Chris wants me to say, but we hope we can get together this weekend,” Beilein said. Webber has not returned messages seeking comment this week from The Associated Press.